Each of our wall anchor systems is custom-designed and installed by our professional foundation contractors. 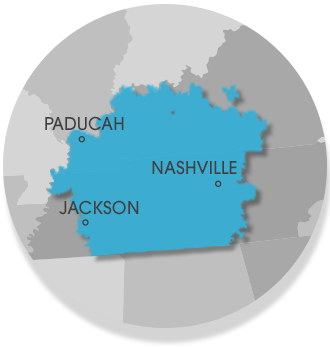 We serve Nashville, Clarksville, Jackson, Bowling Green, Murfreesboro, Owensboro, Utica, Fayetteville, Marion, Philpot, Franklin, Leitchfield, Paducah, Mcminnville, Hartford, Antioch, Shelbyville and many nearby areas in Tennessee and Kentucky. If you're planning on finishing your basement after the foundation repair is complete, or you just want to keep your basement looking clean and attractive, Hide-A-Way™ Wall Anchor Covers are the perfect solution for you.